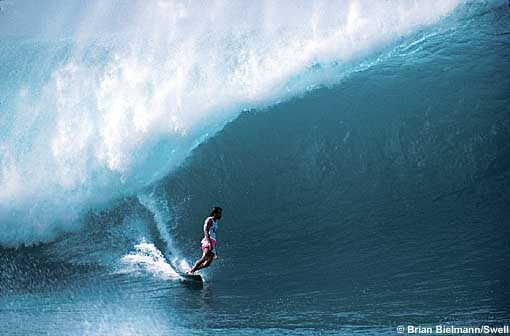 Hands down the most famous break in the entire world, ladies and gentlemen, Pipeline. Pipeline, Banzai Pipeline, Pipe, it doesn’t matter how you say it, the name conjures images of giant barrels breaking over shallow coral. It has a reputation as one of the most dangerous waves in the world and many have ridden their last wave here. It wasn’t ridden until the 60’s, but it wasnt until the 70’s when surfers like Gerry Lopez, aka Mr. Pipeline, when Pipe started popping off. It’s known as a proving ground here on the North Shore and people from around the world test there skill on this legendary wave. However, don’t think you can just paddle right out in the line up and start catching waves, and really you shouldn’t. You have to put in your time out there. There are guys who have been surfing out there for decades and respect is huge out there. The wave itself is dangerous enough then add about 60 surfers into the line up with half of them not knowing what they’re doing, and its a recipe for disaster. 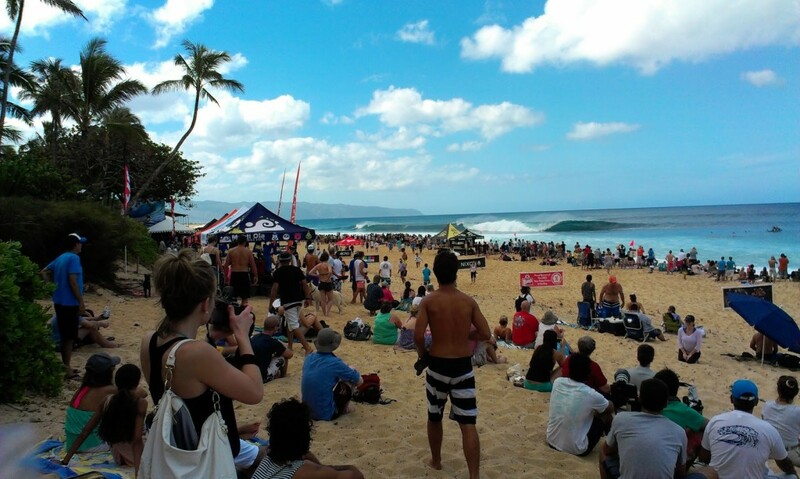 Pipeline is the location of one of the most legendary surf contests, the Triple Crown Pipe Masters. It takes place December 8-20 depending on the swell. You will know when the contest is on because of the line of traffic in both directions for about 10 miles. People who live on the North Shore know better than to drive a car during the Triple Crown. 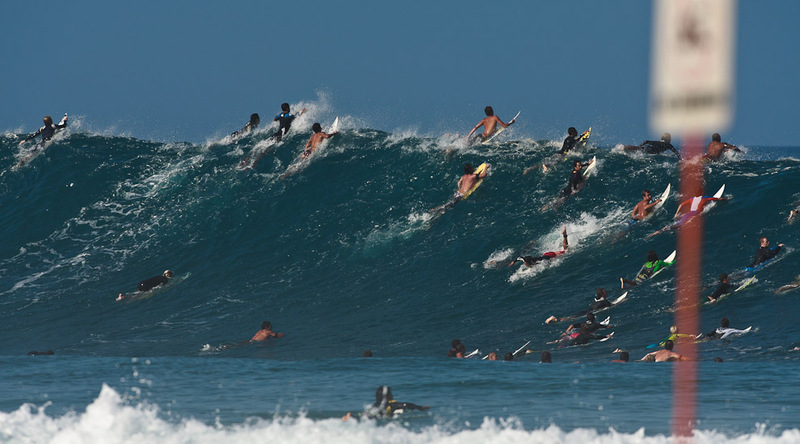 Once your on the beach it is one of the biggest spectacles in the surfing world. Thousands of people on the beach, photographers, girls in Brazilian bikinis… o yah and some of the best barrel riding in the world. Check out this amazing arial footage of Pipeline to really get a feel for it! !